Ads Factory can be integrated with Community Builder for a dedicated profiling system. Ads Factory will automatically install the CB plugins, if it detects an installation of it. To use the CB profile, you must set the User Profile to Community Builder from Settings/Profile and map the corresponding fields. CB comes with some assignable generic fields but you will also need to create your own to assign the Ads Factory fields to the ones from CB. This can be done by going to Components/Community Builder/Field Management. Correct field mapping will be required to display information properly between the ads, profile and other plugins. 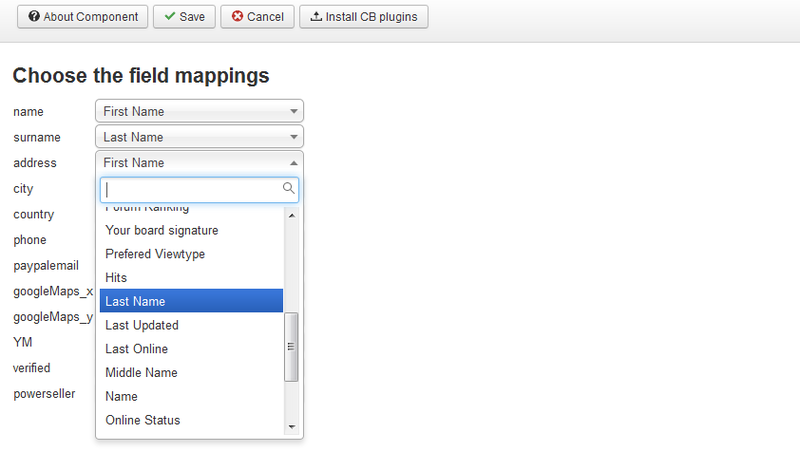 If Community Builder was installed after Ads Factory, you will have to click on the Install CB Plugins button. 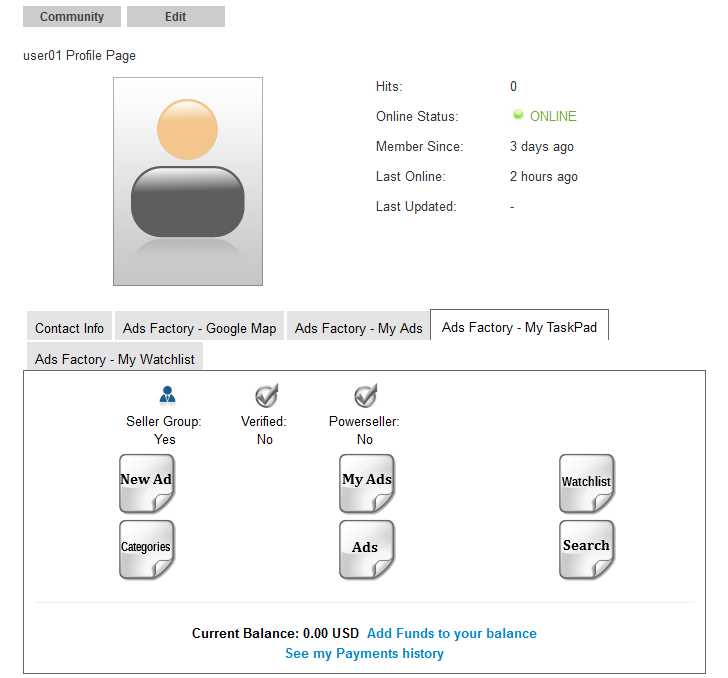 This will install the plugins and create the profile tabs for CB. Ads Factory implements multiple CB plugins, the main one being My TaskPad which includes most of the menus and other user profile information, like balance. 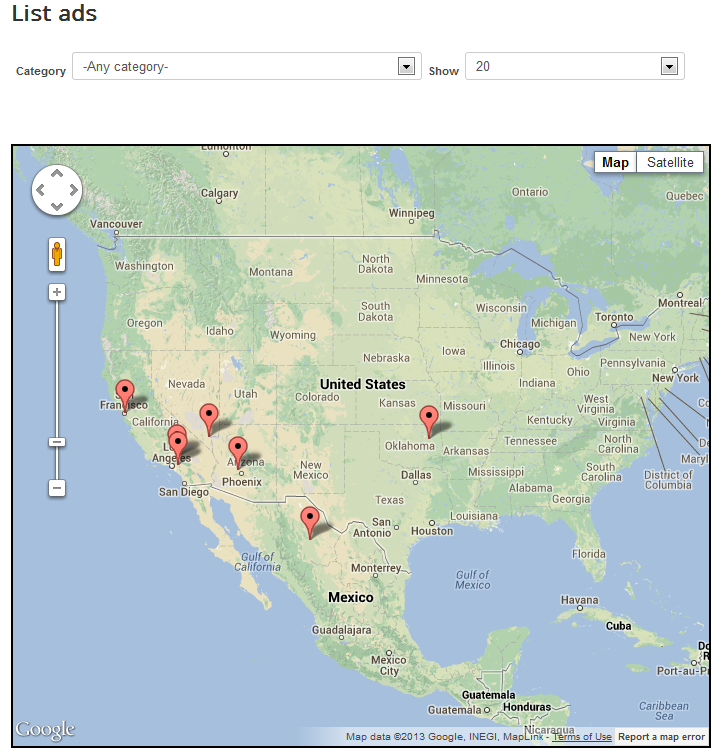 Each user can post his location or the location of their ads with the help of Google Maps. The use of this integration requires a Google account where the webmaster can acquire a unique key, for more about obtaining that key and Google Maps settings check our Ads Factory - Installing, Updating and Uninstalling. The map location is then used on ads, posters can either use their profile location or choose another by pinpointing it on the popup map. Besides showing the location of each ad by visiting their pages, with the Ads on map page you can also do a map search for ads from a specified category or subcategory. To enable the anti-spam feature, go to Components/Ads Factory/Settings/General Settings and check the Enable Captcha checkbox. 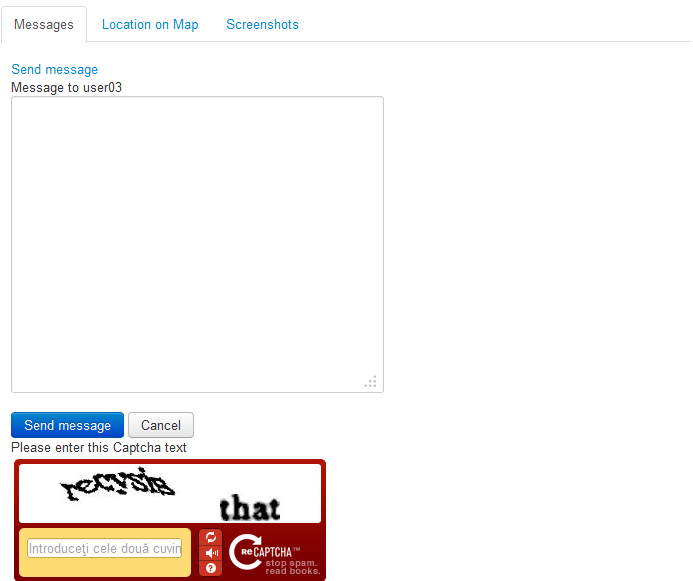 For guest messages, reCaptcha can be used to limit the amount of spam. Same as with Google Maps, keys have to be obtained before the integration can be used. Besides the captcha for comments, you can also use the reCaptcha Mailhide, this works the same way as regular reCatpcha, but it is used when users want to see email addresses. For more information about obtaining the keys for reCaptcha and reCaptcha Mailhide and the settings of these features check our Ads Factory - Installing, Updating and Uninstalling.